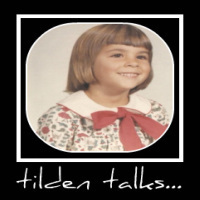 tilden talks...: Beautiful and Delicious! My good friend Tammy has started blogging! Tam's blog is all about the cakes she makes for birthdays and weddings and other special occasions. She is very talented and gets rave after rave about her cake and her designs. This is the detail of a wedding cake she made for the son of one of our good friends. The Bride asked for calla lilies and even though Tam had never worked with gum paste before, she jumped in with both feet and made a zillion fabulous gum paste lilies. I remember them hanging everywhere in her kitchen! Stop in over at Cake Creations and say hello! Gorgeous! Send me a piece! Yum! I added her to my feed reader! Thanks friend! I think we should try to send Quilly some cake and see it works. Hmmm...may be a good test! I think I will look into packaging!